The Social Service staff offers ongoing support and assistance to provide for the emotional well-being and concrete needs of all residents admitted to the Center. Social workers provide guidance and counseling for residents and their families to ease the adjustment into a new way of living and to insure the highest quality of life for all those in our facility. The social worker, as part of the interdisciplinary team, works with residents and their families to provide a meaningful plan of care for all residents. They serve as links between residents and their families and the community resources they need. 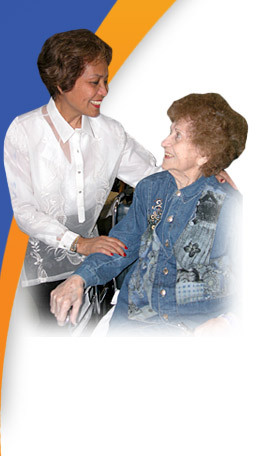 For residents receiving rehabilitation or nursing care in the Gallen Institute for Subacute Care, the social worker facilitates connections with organizations such as Meals on Wheels or home nursing services to insure that everything is in place for the patient’s care prior to being discharged back to the community. 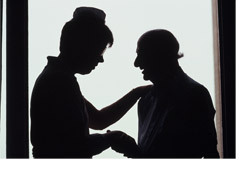 For residents in the skilled nursing facility, social workers assist distant family members by arranging for simple everyday needs and addressing day-to-day concerns. 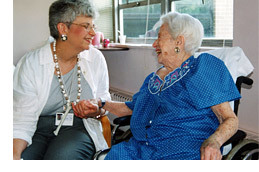 Whether providing information about available services or offering counseling through support groups and in-services, social workers serve as a vital resource for both caregivers and seniors at Daughters of Miriam Center/The Gallen Institute. For more information, contact the director of social service by clicking on the link or by calling 973-253-5233.